See a size comparison with a soda can and the back of the rug. 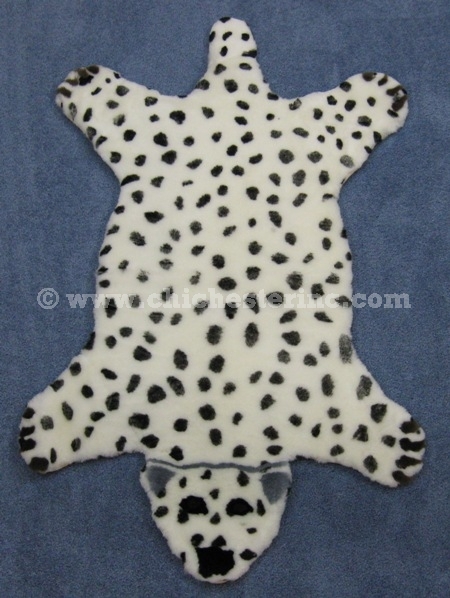 These unique "leopard" rugs are made using Australian sheepskins, which are soft and luxurious with a clean and supple skin. The rugs are 51" long and 20.5" wide across the middle. From paw to paw, they are 32" wide. The eyes, claws, and nose are dyed black sheepskin. The sheepskins are a by-product of the food industry. The sheep were not killed just for their skins. No export paperwork is required for shipments outside of the United States. 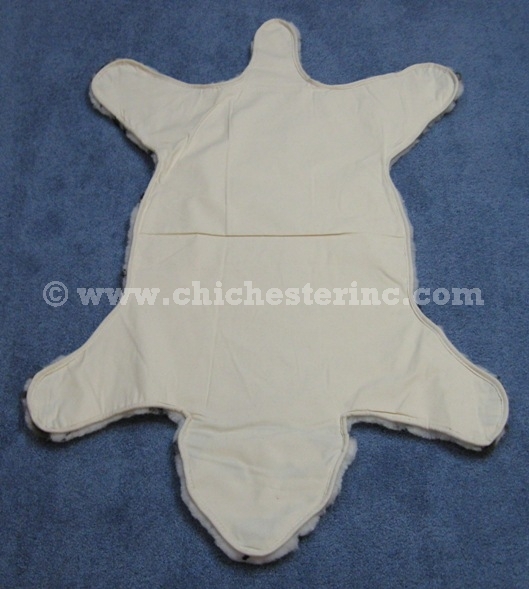 Click HERE for more Lambskins and Sheepskins. 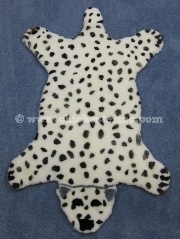 Click HERE for Australian Sheepskin Rugs. For Washing Instructions and Eucalan™ Wool Wash, please click HERE.